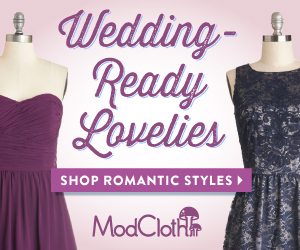 Planning your wedding is one time when you want to show your guests who you truly are as a couple. 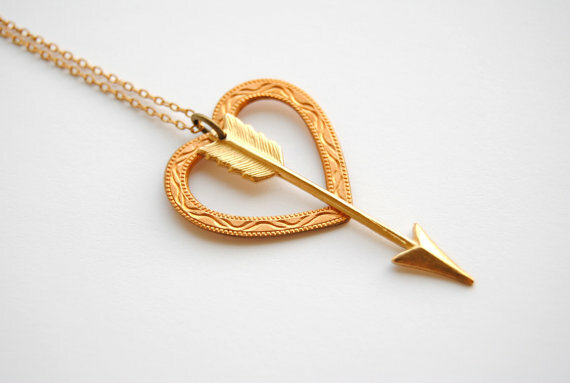 One way to express your personalities is to showcase one of your interests in your wedding … either in subtle or not so subtle ways. My fiance and I both love football, and are trying to incorporate our love of the game into our wedding. 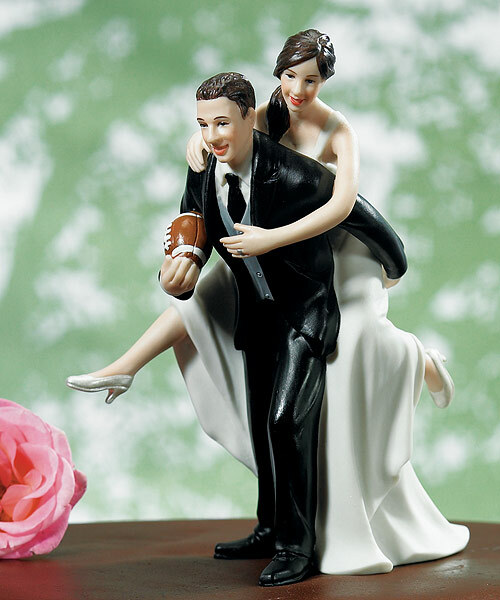 Of course there is a fine line between subtle and cheesy, so here are some of the suggestions that I have for having a football themed wedding. 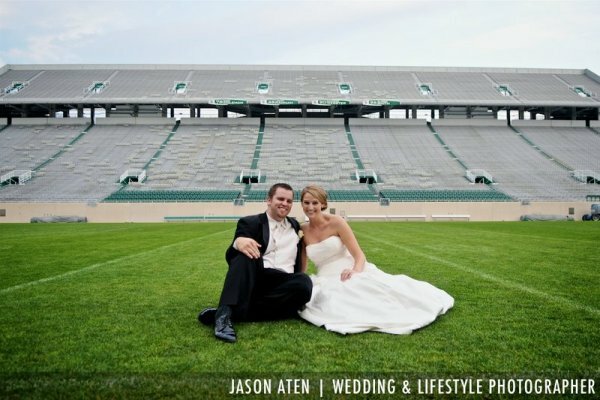 Venue: The most obvious way is to have your ceremony and/or reception at a football stadium. Look around for local college or professional sports stadiums. 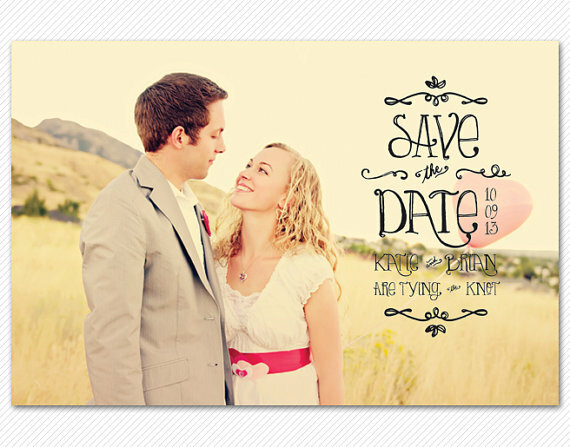 Paper: Use a football ticket as inspiration for your save-the-dates or invitations. 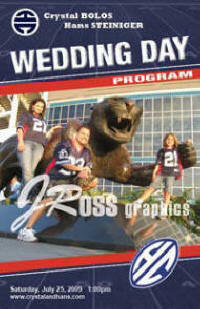 Or, you could write a welcome packet to your guests in the form of a game program. Cake: Have your cake designed with your favorite teams colors. 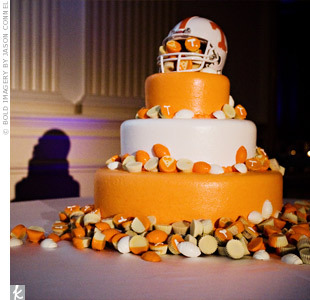 Or, have a groom’s cake shaped like a football field. 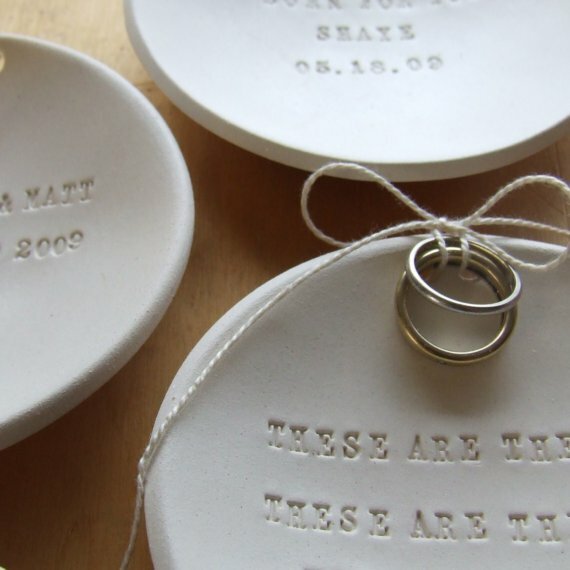 While you’re at it … add in a fun cake topper too! 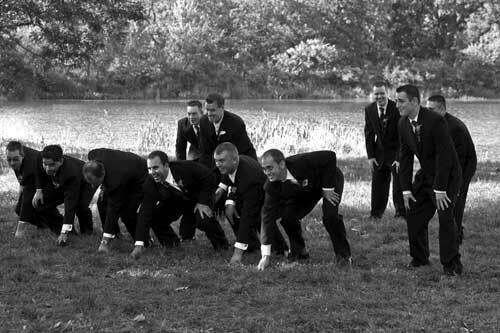 Photography: Of course, football may be present at your wedding if the groom and his groomsmen decide to get a little rowdy in their tuxes. If you aren’t having your reception at a stadium, consider taking pictures at your local high school stadium. Men turn into boys when put onto a football field! 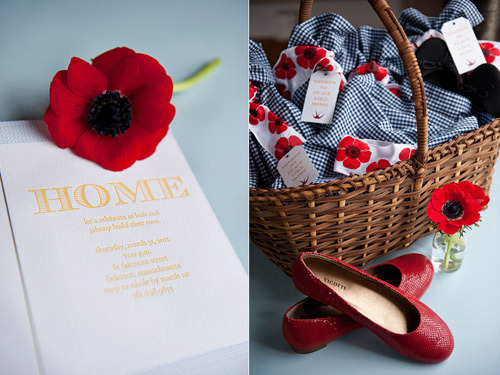 However you choose to display your life as a couple to your guests, be sure to personalize your day to suit you. GO TEAM!